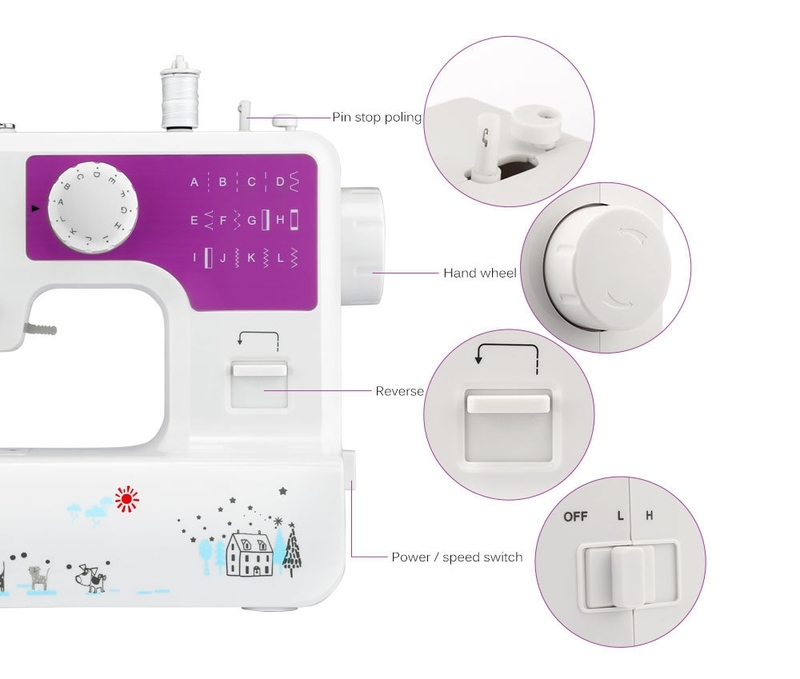 This mini household sewing machine is of various types of sewing, such as changing sewing operations while sewing, and buttonholes sewing, etc. 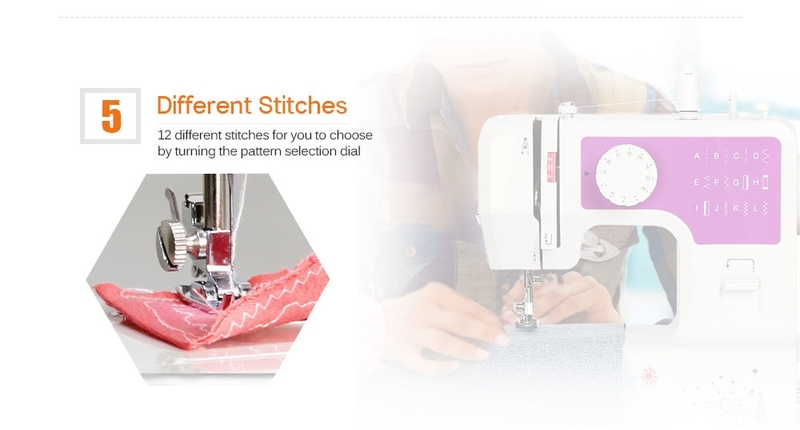 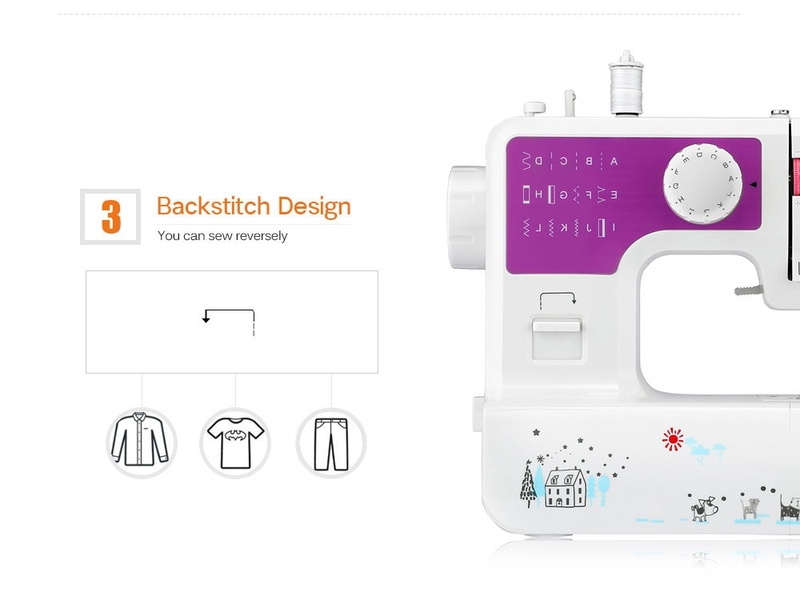 There are 12 different stitches for you to choose by turning the pattern selection dial, meeting your different needs. 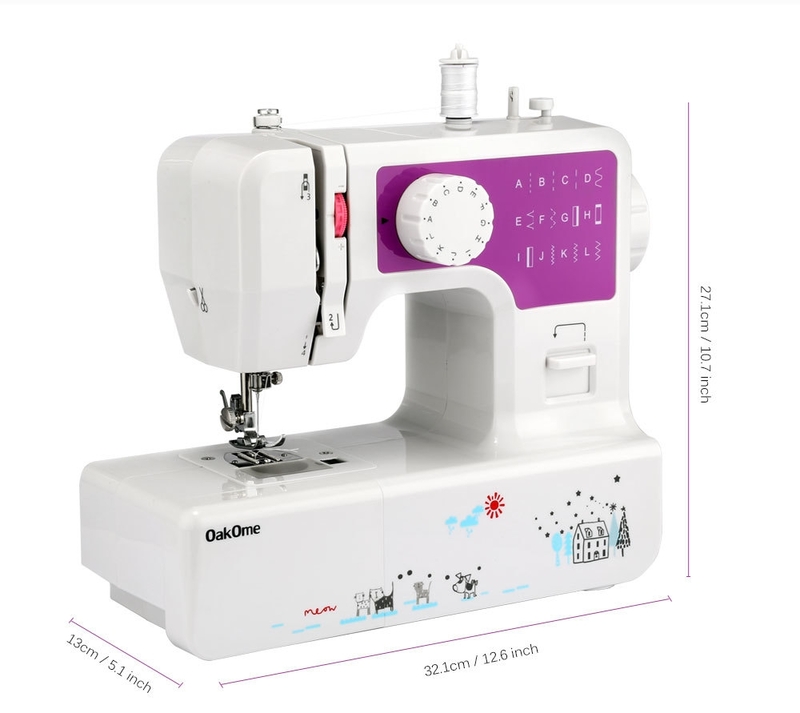 There are 2 sewing speeds for you to adjust, low speed and high speed, which helps you handle better with this sewing machine to produce great sewing projects. 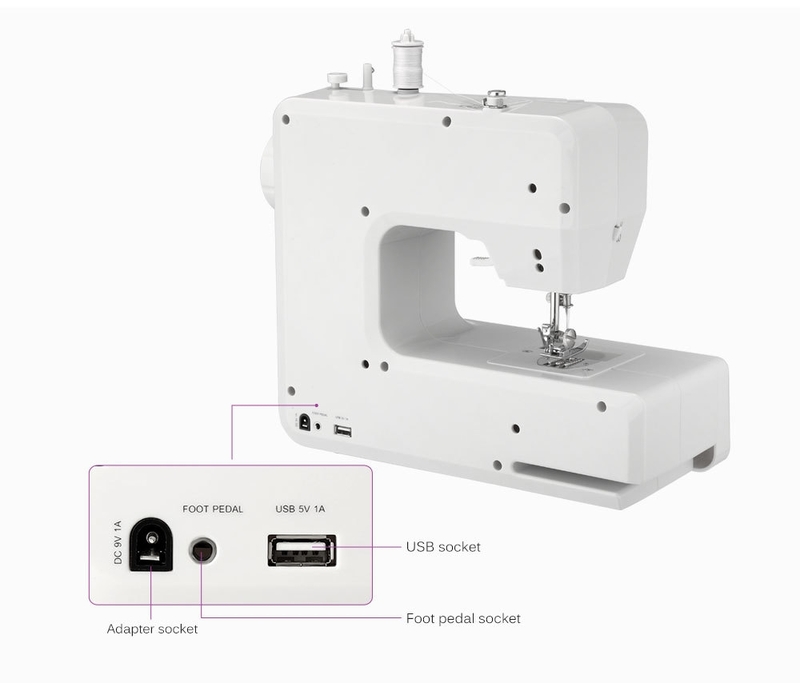 With the design of USB socket, you can charge your cellphones and low-power electric fans through the USB cable when you plug in this sewing machine. 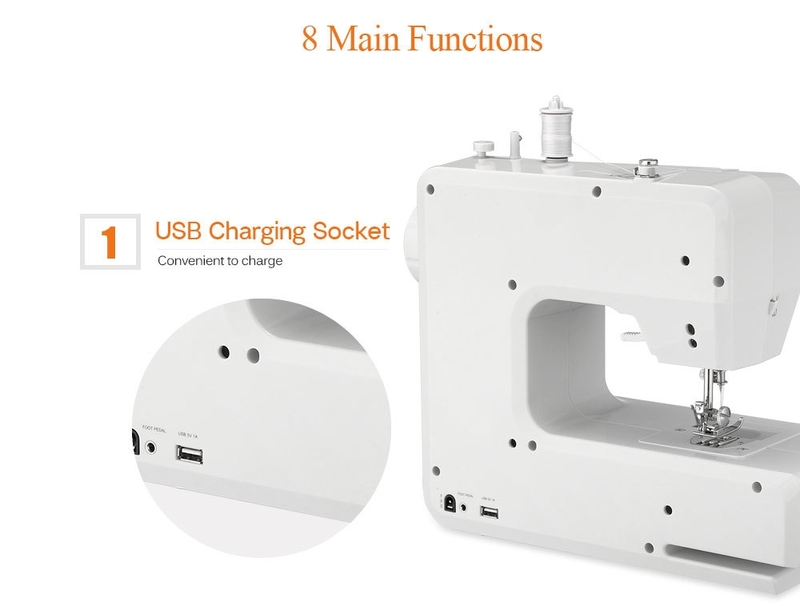 With the portable design, it is easy to store. 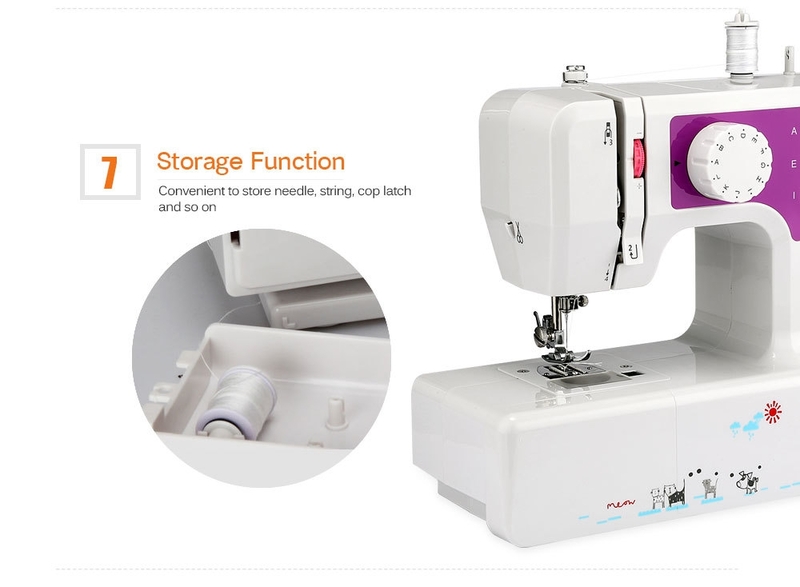 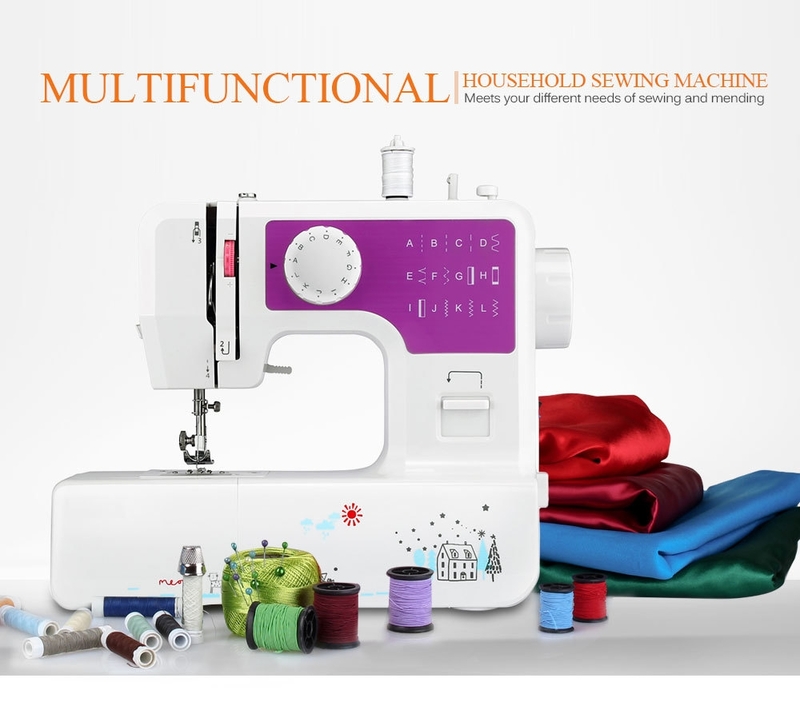 Plus, the stable operation, low noise, and strong working ability allow it to be a professional sewing tool.